rates on straw yield and its components as well as fiber yield and its relatedcharacters. Increasing seeding rate from 50 to 70 kg /fed. increased technicallength, straw yield/plant as well as per feddan, fiber length, fiber percentageand fiber yield/plant as well as per feddan. Increasing seeding rate decreasednumber of capsules/plant, number of seeds/plant, seed index, seed yield/plantas well as per feddan, whereas thee effect was insignificant in oil percentage.The seeding rate of 60 kg/fed.. gave higher seed yield and its component.Increasing nitrogen level from 30 to 60 kg/fed significantly increasedtechnical length, straw yield/plant, straw yield/fed, fiber length, fiberpercentage, fiber yield/plant as well as per feddan. The differences between45 and 60 kg N/fed did not reach the level of significant. Increasing nitrogenlevel from 30 to 60 kg N/fed significantly increased fruiting zone length,number of capsules/plant. Adding 45kg N/fed resulted in the highest values ofseed yield and its components. The results revealed that Giza12 cv., wassuperior than Giza 11 cv., in technical length, straw yield /plant, strawield/fed, fiber length, fiber percentage, fiber yield/plant and fiber yield/fed. While Giza 11 cv. was superior than Giza 11 cv., in fruiting zone length,number of capsules/plant, number of seeds /plant, seed yield/plant and seedindex. 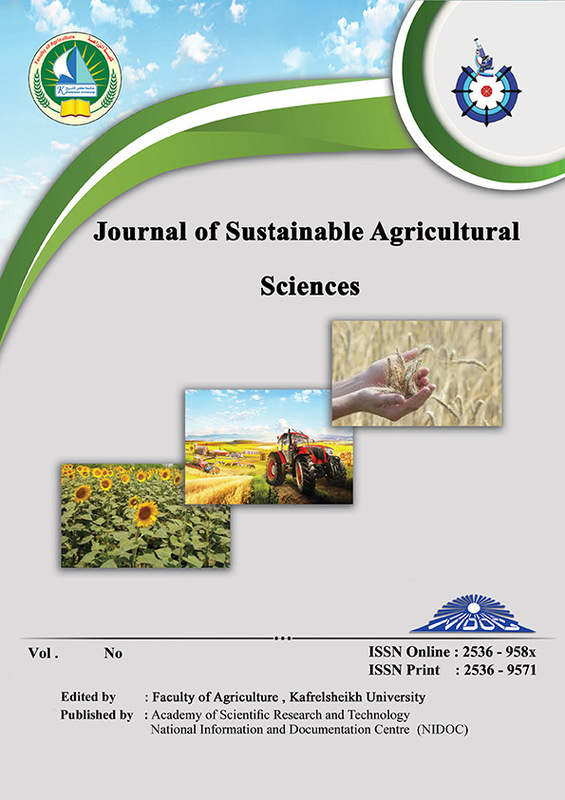 The interaction between seeding rate x nitrogen level was significant instem diameter, straw yield/fed, fruiting zone length, no of capsule/plant, seedindex and fiber yield./plant.The interaction between seeding rate and cultivar was significant intechnical length, straw yield/fed., fruiting zone length, number ofcapsules/plant, seed yield/plant and seed index. Also, the interaction betweennitrogen level and cultivars was significant in technical length, stem diameter,straw yield/plant as well as per feddan, fruiting zone length, number ofcapsules/plant, seed yield/plant and seed index.The interaction between seeding rate x nitrogen level x cultivar wassignificant in technical length, straw yield/fed., fruiting zone length, no. ofcapsules/plant, seed yield/fed seed yield/plant, fiber length and fiber yield/fed. high seed yield used Giza11cv, 60 kg seeds/fed. + 45 kg N /fed.